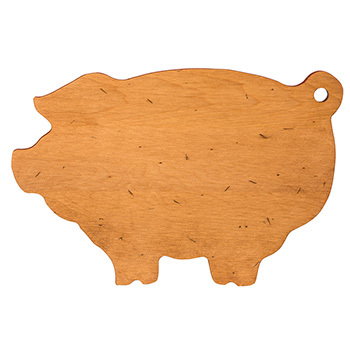 Our Maple Artisan Plank Serving Board has been decorated with everyone's favorite farm animal, the pig. Bring a bit of farmhouse whimsy to any kitchen with this wonderful board. This board is not just for cheese we love using it serve up our Sunday bacon!